Thank you for your subscription. If required we will contact you. Experience art and nature while enjoying a delicacy. Walking through the gallery and sculpture garden your eye is undoubtedly already fallen on our teahouse 'Carpe Diem'. Lovely located on a reflecting pool with an inviting summer terrace. Quality is also served here. Enjoy an excellent cup of coffee or tea, feast on one of those delicious cakes and take your time. Experience the sculpture garden, hear the sounds of nature, observe and view art. And if the walls of this teahouse could talk, you would get to hear the passionate history of this stately manor. Because walls can not speak we have them packed with special photographs, including many historical. So you can still witness that history. 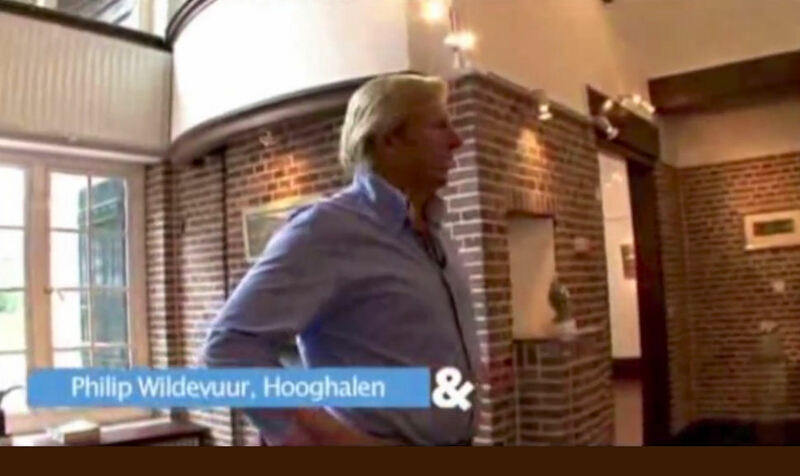 A private tour by Philip Wildevuur in the TV program Living & Co.